Efraim E. Landa has over 30 years of experience in the sales, marketing and development of product lines in the medical field and has been a key operative executive in several high tech companies. 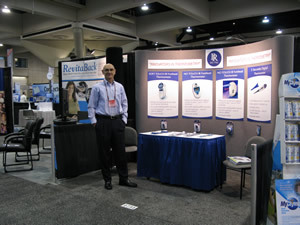 In 2007, he co-founded and currently serves as Chairman, President and Chief Executive Officer of GlucoVista Inc., an early-stage company developing a novel approach to noninvasively measuring blood glucose levels. From 1993 to 2009, Mr. Landa co-founded and served as Chairman and Chief Executive Officer of OptiMed Technologies, Inc., a medical imaging systems integrator that provided cardiac image management and archival systems to hospitals, clinics and private physicians. From 1978 to 1992, Mr. Landa founded and served as Chairman, President and Chief Executive Officer of Fidelity Medical, Inc., a company involved in computer-based proprietary medical devices. Mr. Landa formed Effi Enterprises in 1992 to provide management consulting services specializing in the areas of capital formation and marketing strategies for emerging growth companies as well as more seasoned companies. Effi Enterprises’ previous customers included Philips Medical (www. healthcare.philips.com), Charterhouse Group International, Inc. (www.charterhousegroup.com), NovoCure Ltd. (www.novocure.com), CMT Medical Technologies Ltd. (www.cmt-med.com), LT Industries (www.ltindustries.com) Bio-Ray (HK) Ltd. (www.bioray-ag.com), Health Center Imaging of Fairfield County, LLC, among others. 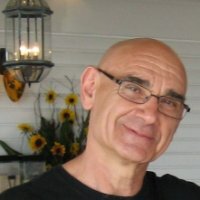 Mr. Landa holds a BS in electrical engineering and computer sciences (Technion Institute of Technology) and a MSC in electrical engineering and computer sciences (Polytechnic Institute of Brooklyn).